This fund is administered by the ABATE Foundation and 100% of all proceeds will go directly to the Pioneers documentary project. The Pioneers of Hoosier Motorcycling has been an interactive feature at the Indiana Motorcycle Expo since 2015. It celebrates the men and women who fostered the sport and lifestyle. Whether motorcycling was their vocation, sport or hobby, it is certain that it is beloved by them all. The showcase features 7 moderated panel discussions as well as a massive display of motorcycles, film clips and memorabilia from the personal collections of the Pioneers who made motorcycling famous in the State of Indiana and across the United States. 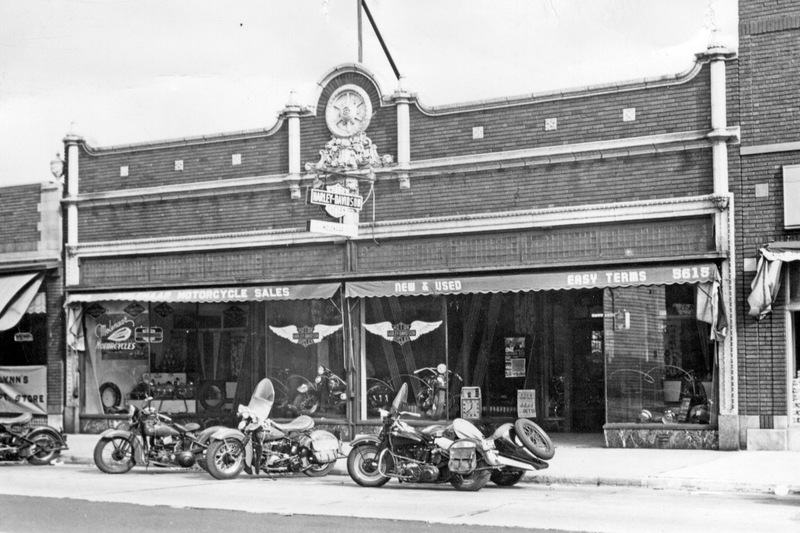 The history of motorcycling is only just over 100 years of age and Indiana has played an integral part in its creation and evolution throughout that time. Along with footage from the Expo panel discussions, many of the “Pioneers” of Hoosier motorcycling have video recorded their memories of Indiana motorcycling in the early years, through the mid-century and into today. It is the purpose of this site to raise the funding to put these display materials and recorded memories into a documentary of the History of Hoosier Motorcycling. With the participation of local PBS affiliate WFYI, countless volunteers and your contributions we can make this documentary a reality! Thank you in advance for your contributions! Did you know? The Indianapolis Motor Speedway officially opened with balloon races June 5, 1909, followed by the first motorized race on August 14th, 1909. No not cars. It was a motorcycle race! Did you know? In 1912 Indiana Native “Cannon Ball” Baker took part in a cross-country motorcycle race that spanned 3,379 miles. Baker completed the run in 11 days, 11 hours and 11 minutes, shattering the previous record by some nine days, and breaking the automobile cross-country record by four days. Did you know? Walter McCord was a horse breeder and owned a farm near Oaklandon/McCordsville to train sulky horses for racing. In the 1950’s-1960’s the property was primarily used by the Midwest Motorcycle Club to host sanctioned AMA races on a monthly basis.